Hey friends! 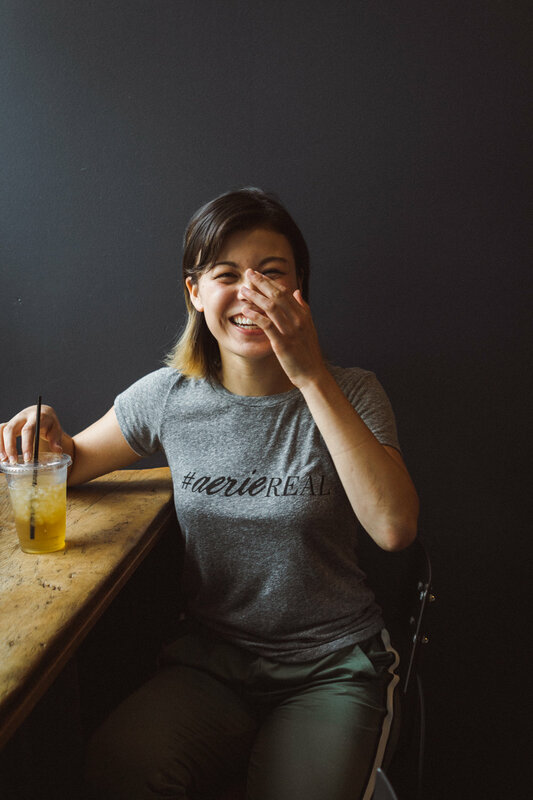 I’ve been getting a lot of questions lately about how I became an Aerie ambassador and URBN Community Intern. Sooo… I’m revealing everything in this blog post, plus some career advice! I truly believe that my success in being offered both of these positions has a lot to do with the experience I’ve garnered in my years at Penn State. As such, keep in mind that most of what I’m going to tell you guys in this blog post is not replicable. I’ll be listing and explaining some of the experience I have on my resume, the application process for both positions, and some career tips and tricks, namely interview tips, in this post. I hope you guys find it helpful! Drop a comment if you have further questions and I’ll make sure to reply to you. Before I get into everything, I want to explain my career philosophy, which stems from how I choose to live my life. I view my career as an extension of my life’s purpose, which is to empower women. I used to say yes to just about anything and everything that came my way. As a result, I was constantly overwhelmed by doing far too much. At first, saying yes to everything was good. I gathered a lot of good experience that set me up for success. 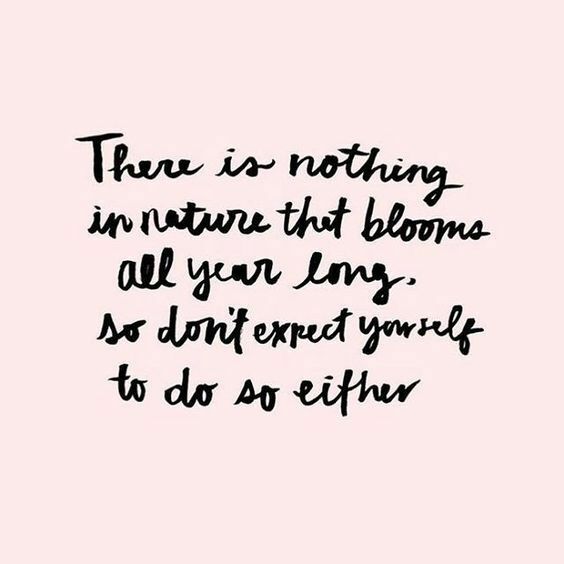 But I kept saying yes to everything and eventually, I didn’t need some of the experience I was saying yes to because I had either already gained it elsewhere or simply didn’t want the experience because it didn’t fulfill my life goals. Now, I only apply for internships that fulfill my passions. That means that when I apply to internships, they’re usually a pretty good fit for me; I’m not just a good fit for the position. When you’re just starting out as a freshman, or if you’re stuck because there’s very few good opportunities in your area, this kind of mindset probably won’t work for you. It works for me currently, but only after doing a lot of things I didn’t care for to build up my resume. Furthermore, I’m privileged to have been able to afford working unpaid internships for two summers. I also only live an hour outside of Philly so I’m living at home for my URBN internship to save money. My school also provides funding to its students with internships and since I’m in the honors college, I have access to more than one source of funding. All of this means that I’m coming from a privileged place and can afford to have this kind of mindset. Not everyone can. All right, guys, get ready for some major horn tooting. I’ve always been a hustler, even to my detriment. My senior year of high school alone, I took 7 AP classes, was a class officer, editor of the literary magazine, the head of a yearly charity concert, and a dance TA for the Chinese Dance Troupe I was in. I took this kind of do-it-all mindset with me into college and got involved right away. Over two years, I accumulated leadership positions in two organizations. I was the Secretary of the Fashion Society and the Philanthropy Chair of the Penn State International Affairs and Debate Association my sophomore year. Beyond this, I launched my blog and started secured a number of small brand collaborations for my Instagram. My freshman summer, I wrote for CollegeFashionista and The Tab and worked as a Marketing and PR intern for the local Chinese American Community Center and a Field Intern for a local Congressional campaign. This kind of “get any experience I can” mindset I had my freshman year drove me to success as a sophomore and junior. As a result, when I applied to become an Aerie Ambassador, I had social media experience through my blog and CollegeFashionista. I was on the executive board of two organizations, evidence of my ability to organize events, manage my time, handle responsibility, and be a leader. Even more, my blog is a feminist fashion blog, showing that I’m obviously passionate about the same things that Aerie stands for. This year as a junior, I became VP of the Fashion Society and Editor-in-Chief of The Tab Penn State. As the Fashion Society VP, I worked with our e-board to put together a fashion show, bring in an amazing guest speaker in collaboration with the Veg Club, have our first ever creatives panel, and more. I also delved into my blog, writing more blog posts, creating better content that reflects who I am, and securing even more collaborations. I also became an Aerie Ambassador. You get the idea by now. This is basically a long list of my accomplishments, but the point is that I brought this experience to the table when I applied to the URBN Community position. The internship involves pitching and writing blog posts, copywriting Instagram captions, social media work, a little photography, and more. My resume shows that I’m capable of handling such work. Long story short, my advice here is hustle hard and hustle fast. Fill your resume with valuable experience that matches the kinds of internship positions you want. If you don’t yet know how to get the experience necessary for the internships you want, or if you don’t know what internships you want, get involved with an organization that you’re passionate about and stay involved such that you can aim for an exec board position. The Aerie Ambassador Program is run through Youth Marketing Connection, or YMC. The program is meant for college campuses, meaning that not everyone is eligible to apply and you must be a student at one of the campuses the program is at. I had actually originally applied to become an Express ambassador and gone through the application process for that. I received an email alerting me to the Aerie program shortly thereafter and ended up applying for the Aerie program, as well. To apply, I headed to YMC’s website and filled out the online application. I was then contacted via email for a phone interview. After the phone interview, I was asked to complete one last task. I turned it in and waited… and waited… and waited. Later that summer, I received a random call. Thankfully, I picked up because it turned out to be YMC calling to offer me to the position! I may or may not have screamed with excitement after the phone call. I ended up stumbling across URBN’s summer internships on FreeFashionInternships.com. URBN only allows applicants to apply to one of their positions, so I chose the URBN Community Internship. I thought it was a good position for me, as it requires many of the skills I possess but would also force me to improve these skills by performing them for a large corporation, rather than my blog or otherwise. I headed to the URBN Career Opportunities page and filled out the application. Some time later, I was emailed with a link to complete a short video interview. The video interview required me to record myself speaking. It took me less than ten minutes to complete and I was asked two or three questions. I believe I had a minute to respond to each and I was given time to prepare. I don’t remember all the questions, but one involved talking about what brands and/or influencers I believe to be successful in leveraging social media and why. The questions of course vary between positions, but they clearly test your fit for the position. After that, I received an email asking me to attend Interview Day. I was told to dress comfortably and show off my style so I arrived at the Naval Shipyard in Philadelphia (it's incredibly stunning there, by the way) in this outfit with some heeled booties and a black purse. The group of us being interviewed were then taken to a cozy space with refreshments while we waited to be called for our interview. The actual interview was super chill. The interviews for the various positions all occur at the same time in the same room, so you’re surrounded by a number of people. I sat down and introduced myself to the interviewer. He was incredibly nice and it was very conversational. After 30 minutes, I moved to the table behind me to talk to someone else. Both of them were people I would be working with if I ended up doing the internship. Fun fact, my stickies fell off during the interview so I was going #freethenip the whole time I talked to them. See my “Pastiez” highlight for more. After the interview, I toured the headquarters with some others and enjoyed lunch for free at their cafeteria. I went home and waited to hear back. Depending on the position, everyone hears back at different times. I heard back in late February via an email asking when I was free to call. That call happened to be an offer to intern with URBN over the summer and I said yes! Still in shock, honestly. For the most part, my belief is that the best way to secure an internship is by gaining relevant experience and applying for positions you’re passionate about. When you’re truly passionate about what you want to do, it’s easy to find positions you’ll be passionate about. That kind of excitement for a position can’t be feigned and your authenticity will make you stand out. That said, there are still some things I made sure to do when applying for both the Aerie program and URBN. Here are some quick tips for y’all when applying to any internship or position. Make sure your resume is absolutely perfect. Fill your freshman year with good experiences to get your resume started. Then, take advantage of career services at your school to ensure you have an amazing resume. There should be absolutely no typos on your resume and it should fit cleanly onto one page. I recommend Rezi for good templates and a guide to resume writing. Use action verbs and quantify the results of your actions when possible. Shake your interviewer’s hand and smile at the start and end of the interview. A good handshake conveys professionalism and confidence. A smile conveys warmth, shows you’re happy to be there, and engages the interviewer. Mirror neurons means they’re likely to smile back. Right away, you’re starting off on the right foot. At the end, thank the interviewer for their time and shake their hand again. Even in an informal interview like with URBN, I made sure to do this. Good manners helps set you apart. Find a personal connection between you and the company. When I interviewed with both Aerie and URBN, I drew from personal experiences that connected me to the companies. With Aerie, I mentioned how touched I was when I saw their Aerie Spark campaign on my facebook feed and how much I loved going to Aerie when I was in high school. With URBN, I talked about how important style is to me and how embracing my love for style helped me find my place at Penn State. I even mentioned that I work at a bubble tea shop right below Urban Outfitters and how often I walked around the store for style inspiration. Ask questions at the end of the interview. Interviews are an opportunity not just for the company to see if you’re a good fit, but for you to see if they’re a good fit for you. I always ask about the company culture and why my interviewer likes working for them. This can strike up a good personal conversation as well and show you what working there is like from the point of view of a current employee. Another great question is what makes a good candidate for this position. Are there any specific traits they're looking for that you have and didn't mention? Now's the time to bring them up after they answer! Send a thank you letter. If you’re really interested in a position, send a handwritten thank you note. This will absolutely make you stand out and possibly give you and edge if the company is between just a few applicants. I actually have never sent a handwritten one, but at the very least, I try to send a thank you email to my interviewer the next day. Thank you letters also allow you to reiterate your interest in and qualifications for the position and add anything you think you should have said at the interview. Did you forget to say something during the interview? Now’s the time to write it down if you’ve remembered! Following up on that will look extremely impressive. My final tip is make time for self care. The hustle life is hard and over glorified. Amidst all of this, set time aside for yourself. If you’re like me and you’re constantly doing too much, it’s easy to get caught up in things and forget to take a break. Set time aside for yourself to recharge and remember to ask for help if you’re feeling overwhelmed. You do your best work when you’re at your best, not when you’re exhausted. Furthermore, part of this self care is to forgive yourself when you mess up and when you don’t get the internship you wanted. I think I got lucky with the URBN Community position. Many of the other URBN positions are far more competitive and other positions even got slashed after Interview Day. Sometimes, it’s really not that you aren’t qualified; it’s that so many other people are also qualified or that a company doesn’t have the bandwidth for interns. Keep on trying and trust that you’ll get there! That’s all, friends! As always, if have any questions, drop me a comment. And don’t forget to sign up for my newsletter in the section below! Sign up to receive my Instagram strategy guide and get first access to my podcast on how to become an Instagram influencer!